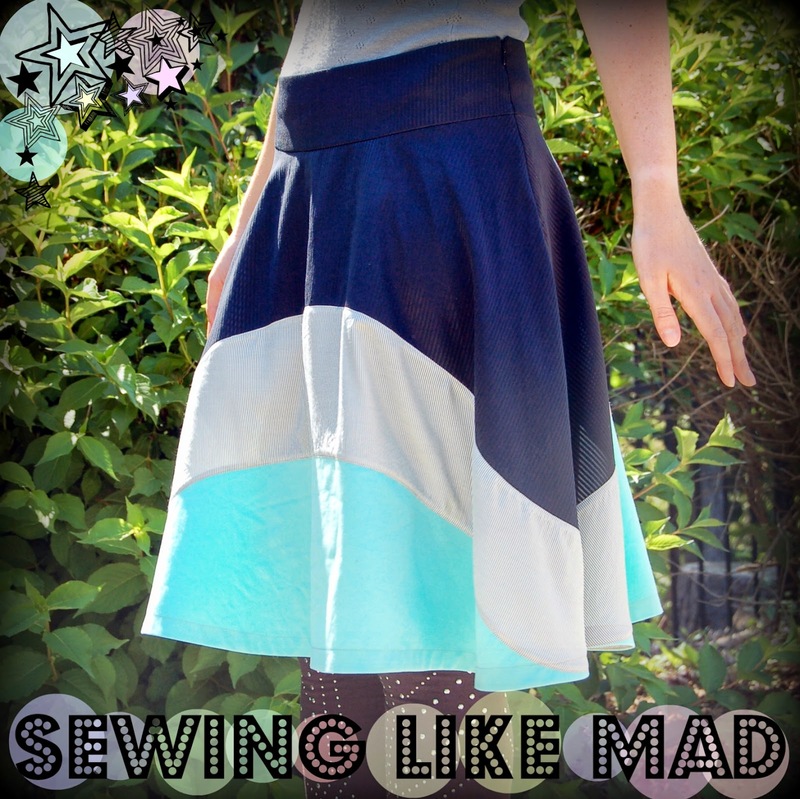 Sewing Like Mad: My first post for the Sewing Rabbit Creative Team 2013. My first post for the Sewing Rabbit Creative Team 2013. 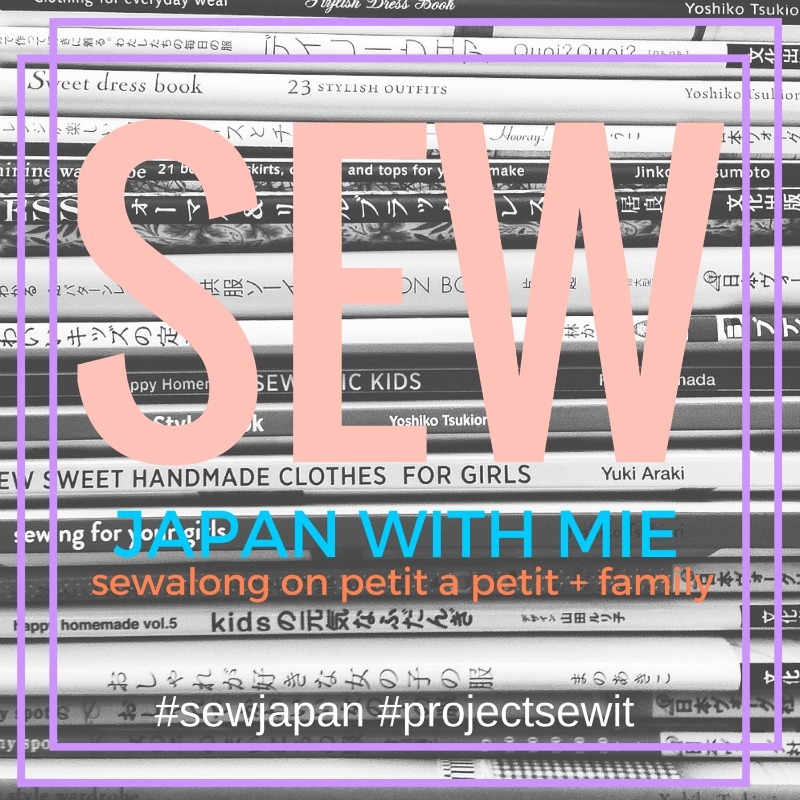 If you saw the announcement a few weeks back you know that I was one of the lucky ones who got chosen to the Sewing Rabbit Creative Team 2013 and today my first post is on. I am one of the last ones on the team to do my post and I am definitely feeling the pressure. My teammates have been amazing so far! You should definitely check them out. See the button on my sidebar. 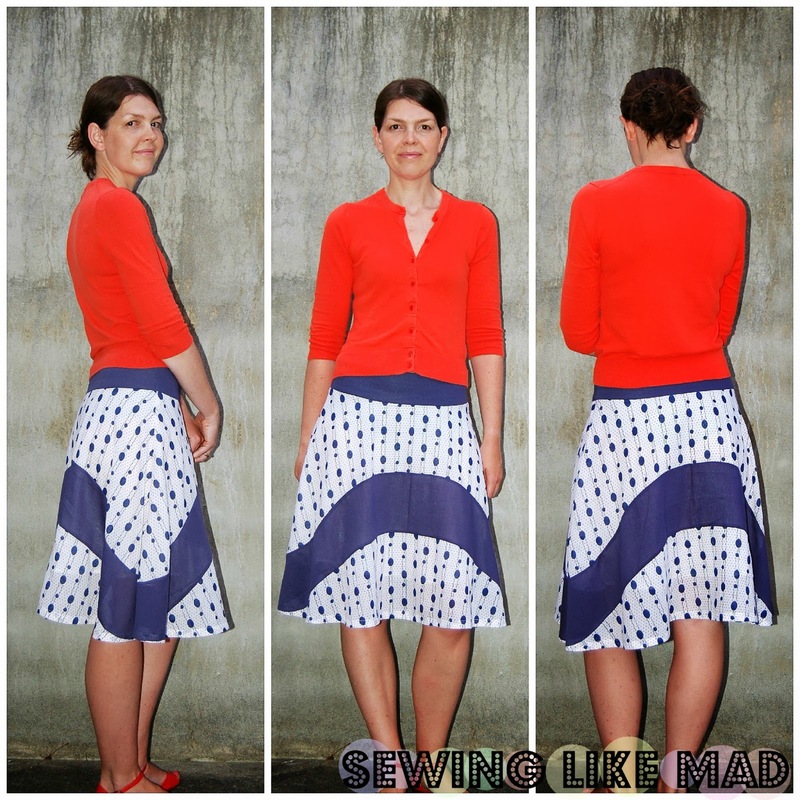 I have made another version of the skirt I made for Skirt Week at Crafterhours. And as you might remember that was a pattern drafting tutorial so this time I made a full sewing tutorial for it like I promised. It is photo overload for sure but I think you will find some tricks there that you might not knew before......maybe. Funny how different fabrics can give SO different looks, right! Now jump over the Me Sew Crazy and see the tutorial. And if want to see other skirts from me check out my tutorial page on Sew Set or HERE on the blog. 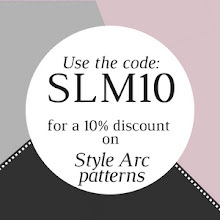 Beautiful skits,you can use silk ribbon to dress up!